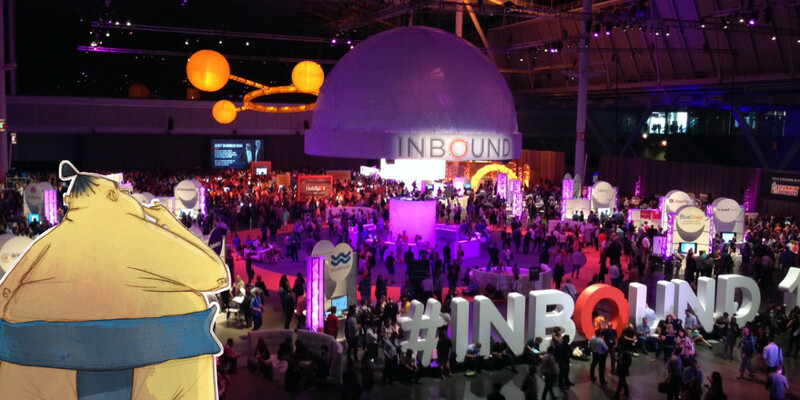 The BuzzSumo team were busy running from session to session at Hubspot’s Inbound 2015 conference this week. Many of the sessions were full to the rafters, lines stretched down hallways, and lots of disappointed folk were turned away. These were our key takeaways from the event. “Passion wins.” People engage with passionate content and with people that have a view. Don’t sit on the fence. Create an angle and argue your case. “Headlines are tremendously important.” Headlines gain attention, they entice, and they help make your content shareable. Sonia says if you put a number in a headline, more people will share it. This doesn’t mean you should write poor quality list posts. It is simply that the headline matters if you want your content shared. “Recommendations are powerful.” The latest Neilson survey shows that people trust recommendations from people they know. This explains why social sharing is so powerful. People prioritize an article shared by someone they know over content that doesn’t come through a personal connection. “Not all social networks are equal.” You have to find the network that works for you. In the case of Rainmaker/Copyblogger they use Twitter a lot and get substantial engagement on LinkedIn. They find LinkedIn works well as they can have conversations and listen to feedback. They found their Facebook page worked less well for them, so they canned their Facebook page. “Use social paid ads for content amplification.” Facebook organic reach is falling, and Larry Kim recommends paid social ads to boost your content amplification. Larry’s advice is to focus on promoting your best stuff. You can also test what will resonate by posting it to Twitter, then boost the content that performs best there. He calls this strategy paying to promote your unicorns. “Use data to drive better actions.” Kyle Lacey argues that data at scale and analytics are key. Machine learning can help you find patterns and understand trends. You can use these tools to make predictions and improve decisions. Predictive analytics is the hot area according to Damon Cronkey. “The HubSpot suite of tools is the secret sauce in Jacksonville.” When pitching to clients, don’t underestimate what you have to offer. Drew Himel says that people love what the marketing tools allow you to do for them. When you talk about your services, keep the focus on the value you deliver, not the actual tactics you will use. “Be very afraid of SWAM.” Viveka von Rosen says that Site-wide Auto Moderation is the punishment of choice for people who share spammy content on LinkedIn Groups. If you are SWAM’ed your posts will be stuck in a purgatory of moderation across LinkedIn, not only in the group where you were flagged. There is no known cure. “Do share on LinkedIn groups.” Don’t be afraid to share content, but be sure it is content that interests people such as what’s trending, new insights and what’s controversial. Don’t share only your own content. “LinkedIn allows contests.” People love (valuable) free stuff. Act accordingly and try contests on LinkedIn. “Make the user happy to make the algorithm happy.” The Google algorithm places a premium value on avoiding quick click backs, says Will Critchlow. Whatever else you do, it’s paramount to look at your Google listing and ask: Do I click? Do I like what I see? Do I get what I want? People who find what they want when they search are happy, and that makes Google’s algorithm happy. “Create modular content.” Repurposing content is an efficient way to create content that meets customer needs. According to Lee Odden modular content is the planning, creating, repurposing of information and media. Identify themed content elements and break your content into modular elements such as quotes, facts, charts, reference links etc., which can be used in different formats such as blog posts infographic, guides, checklists and presentations. “Sell unto others as you would have them sell unto you.” The mantra of Inbound still rings true. In sales, focus on partnership and helpfulness. Give before you seek to get. “Content marketing has a flywheel effect.” 76% of views on the Hubspot blog come from old blog posts. Even more importantly 92% of Hubspot’s monthly blog sourced leads come from old posts. This has increased by 70% in recent years as the volume of content on the blog has increased over time. Basically content is a long term game, the more historic content you have the more traffic and leads you generate. This is the content marketing flywheel effect. “Depth of coverage matters to content performance.” Hubspotter Matthew Barby found that posts with greater word length performs better in organic search and acquiring links. This is not simply about long form content but depth of coverage. It is the depth of coverage that differentiates good from great posts. “Evergreen content drives sustained traffic.” Whilst newsjacking can create significant short term traffic, evergreen content works better over time. Thus even when there is breaking news Hubspot like to take time to reflect and then take a different angle that is more evergeen rather than rushing in with a post. “Nobody clicks the links in your tweets.” Various promotional strategies simply don’t work, such as tweeting out links. People may share your links but they don’t click and read themselves. “Social Media is for engagement and content promotion.” The engagement side of social media has a hard time scaling says Sonia Simone, but content promotion can be scaled, and it’s the best way to get your content to the people who will end up reading it. Shares by people who don’t actually read content are best understood as a wave carrying your valuable resource to the end consumer. “Modern audiences have a higher stimulation threshold.” Neuroscientist Carmen Smith argues you have to change the stimulus to get attention from static formal text to more visual graphics, interactive content, more informal tone, more simplicity and more stories. “Don’t kill the dopamine.” Create rewards, anticipation and uncertainty for your audience. Provide options, suspense and discovery. Link content to what they know and appeal to what they know which might be anxiety, compassion or longing. Give them something they expect but then give them something they did not expect. “If your Facebook ads aren’t working, it’s probably user error.” The Queen of Facebook, Mari Smith emphasized the value of Facebook ads, when done well. To do them well, the landing page and ad language must be optimized to ensure that users have a seamless, contextual experience. In short, consider the audience state of mind when they see your page and design accordingly. Using targeting tools is also essential to success. Thanks for the round up, this is great!